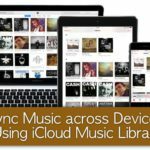 Some users have reported an issue in which various media, such as movies, music and podcasts, ostensibly sync to the iPhone, iPod or iPad but fail to show up on the device after the sync process. Reinstall iTunes. 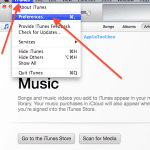 In some cases this issue can be resolved by completely removing then reinstalling iTunes as described in this Apple Knowledge Base article. Remove third-party backup software. If you’ve installed software for an external hard drive or another device, it may include an automatic backup utility that recognizes the device as a storage device, interfering with the normal sync process. Try uninstalling any such software then re-syncing your device.